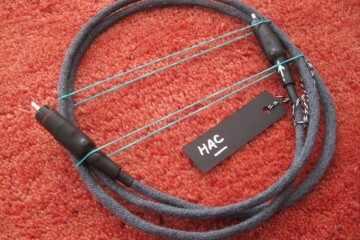 Heresy: a non-75 ohm digital cable! 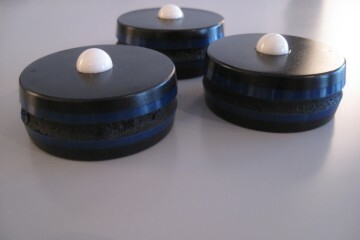 The Mad Scientist is at it again, cooking more interesting non-standard audio accessories in his kitchen. On the menu this time is a digital coaxial cable that is deliberately not 75 ohm and uses carbon fiber as a conductor. Upgrade RCA plugs: $40 for KLE Copper Harmony or $60 for KLE Silver Harmony, See the manufacturer’s website for more options. Above: the Heretical won’t stay curled up unless you tie it down. In spite of its buoyancy however it is still very flexible. My knowledge of digital theory doesn’t really stretch far enough for me to make sensible comments about the above but to be honest I don’t really mind. For me, the proof is in the listening. 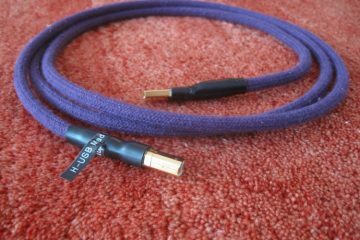 While the standard version of this cable is supplied with modest brass with rhodium plate RCA plugs and very good results are achieved with these according to the maker, my review 1-meter samples were outfitted with the slightly more expensive KLE Innovations Silver Harmony plugs. 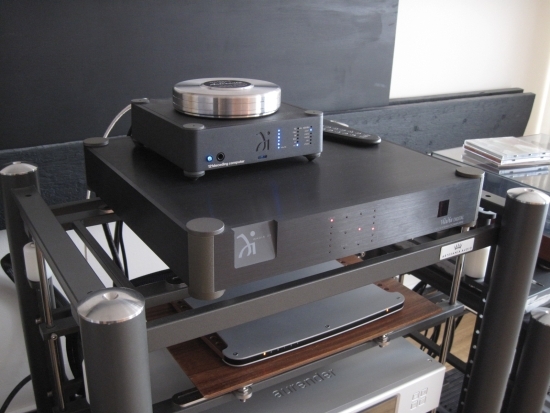 The Heretical digital cable’s quality was assessed between an Aurender N10 music server and a Wadia 121 DAC as well as a Wadia 25 DAC. 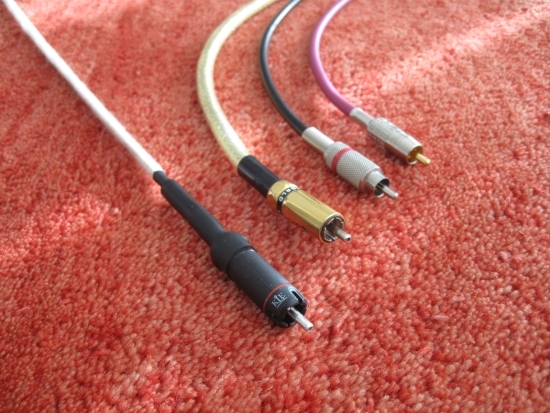 I prepared some cables covering a wide price range to compare with such as a very cheap but pretty good Ceam RG59 (standard coax type), a 70 euro Apogee Wyde Eye and a 600 euro Wireworld Gold Starlight III+. I really needn’t have taken the trouble to take out all these cables and two DACs because the Heretical’s benefits were clearly audible right from the very start. For the longest time I have preached asynchronous USB to be a better connection than SP/DIF, but since my experiences with the Jeff Rowland Aeris DAC and the Aurender N10 I’m not so sure anymore that this is a rule set in stone. 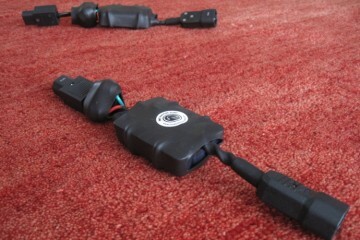 The circuit implementation, setup and cables used have all proven to be contributing major factors. The Aurender N10 in my opinion is a superb source for all the usual digital formats and so it makes for easy comparisons using either USB or any of its SP/DIF outputs. All the Aurender’s digital outputs sound very good, but there are still differences that correspond with how I usuallay experience them. 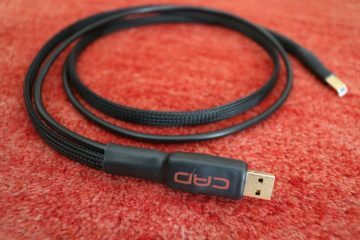 Using standard RG59 cable coaxial sounds fuller in the bottom octaves, but less transparent and less airy than when using an AudioQuest Diamond USB cable (600+ euro). In some situations the coax sound is not such a bad thing, but it’s definitely a deviation from neutrality. When substituting the RG59 for the more upscale Wyde Eye things only get worse, with woolier bass and softened transients. The Gold Starlight III+ certainly improves on the Wyde Eye by sounding tighter and more solid while retaining the treble fluidity. I really liked the Wireworld a few years ago in a previous setup that was somewhat edgy, but now that my sound is more balanced I think it takes away a little too much reality. It’s when substituting the Wireworld for the Mad Scientist Heretical that the best balance is achieved: the tighness and speed of USB with airy treble as sweet as the Wireworld’s and with the engaging musical flow of the RG59 cable. There’s a sense of freedom when listening to music using the Heretical that I don’t quite hear when using any of the other digital cables, or USB. 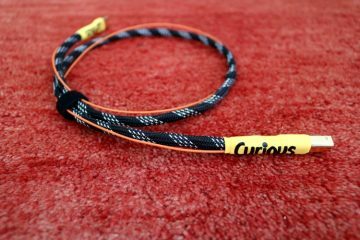 Would this be the non-metal nature of the cable? No matter what the cause is, it’s amusing to note that in spite of its non-75 ohm characteristic, the Heretical actually sounds as if the clock is pulled from the SP/DIF stream easier than with the other digital cables that I tried. A final experiment using a Mark Levinson 37 CD transport into any of the two Wadia DACs substantiated my earlier findings, again with the Heretical sounding at once more transparent and better-timed than the Wireworld, while avoiding bass thinnness and retaining all the fluidity and air. If Asynchronous USB is considered the standard, then it should count as a small miracle when a digital coaxial cable sounds more engaging in certain aspects. But let’s leave aside the USB versus SPDIF matter. Judged purely as a digital coaxial cable in comparison to other coaxial digital cables I can be short: the Heretical has taken permanent residence between my CD transport and DAC and is as of now my new reference in digital cables. Highly recommended! The best part? It’s highly affordable, especially if you order one soon. Is deze digitale kabel van Mad Scientist echt zo mooi? Hi Gaston, yes, this really is a pretty special cable. That’s a valid question Andrew, but one that I’m afraid I cannot answer as I don’t have the vdH at hand for comparison. 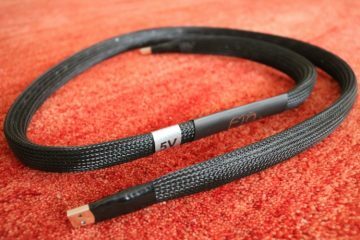 Bought this cable recently after reading your review and I must say it’s a wonderful sounding cable. I upgraded from a ‘standard’ good sounding RG59 cable to this refined digital cable and it has made a big difference to my sound. Thank you for great reviews. 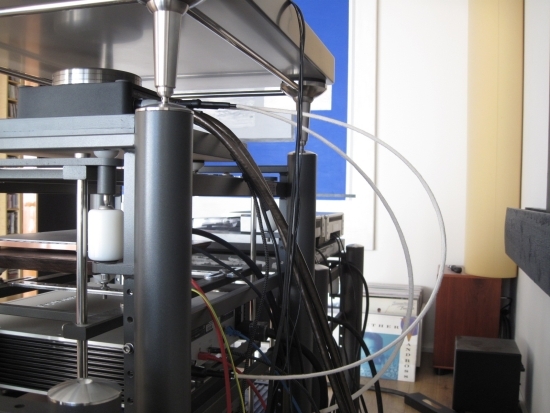 it seems you know about importance of dynamic in sound of digital cables. 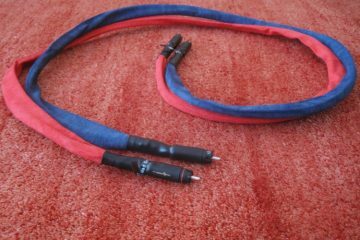 i am looking for a dynamic and transparent SPDIF Cable. what is your idea about that? Dynamics are a tricky thing. Some people liaise a forward sound or transient overshoot with a dynamic sound. I don’t think this is the correct view, but YMMV. In any event, the HDC has excellent dynamics, with the subtletest of details audible but it does not sound as edgy as for example a Belden RG59, which could be seen as sounding more dynamic. The latter however does not provide the same amount of low level detail. I exactly mean dynamics as you mean. in my idea dynamic means opposite of forwardness and edgy sound. 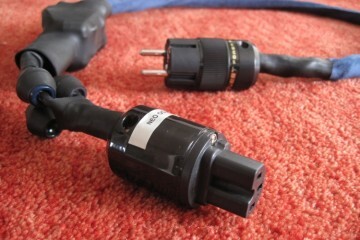 I have Acoustic Revive USB cable, Purist Anniversary USB Cable but i think 5$ hp usb cable is more dynamic than both. 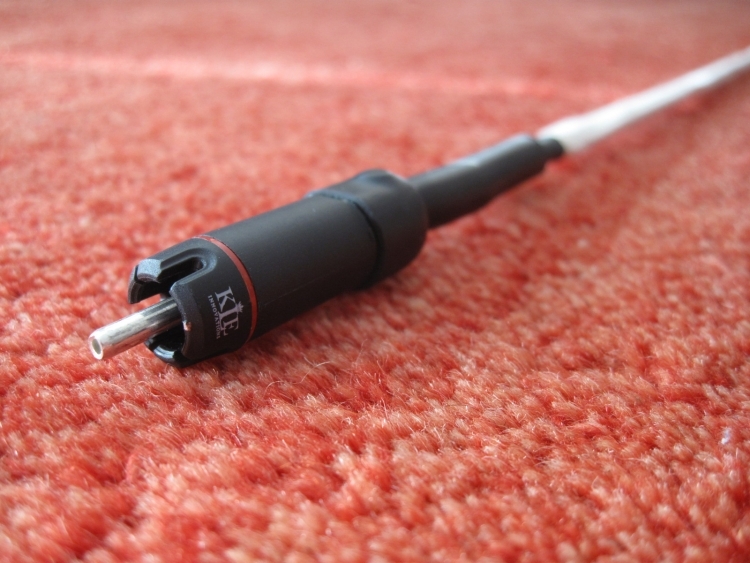 cable designers kill dynamic but make sound high resolution at lowering noise. i need a good dynamic S/PDIF Cable as you mean. have you ever heard of digital cables MIT? Hi Francesco, sorry, I have no experience with MIT digital cables. I need to buy a better digital cable for my Wadia X-32. It did two things that were startling: the space of the original performance became re-created. Not instrumental imaging, but the performance acoustic space, if in the recording. Secondly, the mid-bass above 30 or 40 cycles got stronger, more dynamic, you could sort of feel it. Seemed a lot more real. Would the Mad Scientist Heretical Digital Cable do those things, plus more? I don’t know how many systems you have heard it in, so maybe you don’t know yet. Hi Brandon, Transparent has a particular house sound that is evident even in their digital cables. This sound is not mimicked anywhere else or at least not in the cables that I have heard so far. 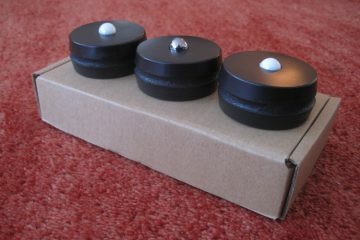 It’s a combination of bass heft, treble air and lushness along with enough transparency to avoid sounding coloured. However there are more transparent and more highly resolving products around. The Heretical is in this category: it has higher inherent resolution and is more refined, with better focus and definition of center images in the soundstage. It does not however have the Transparent-typical bass heft. Also, as is often the case with very accurately imaging cables, the soundstage can be perceived as more narrow. Probably the Heretical’s portrayal is the more natural/accurate one, but you might prefer the Transparent’s roomier presentation. You have given me a lot to think on. It is not just black or white. I may have to get both cables to see which I prefer. Hi Brandon, yes, sorry! In audio, as in real life, things are often relative, and system synergy and personal taste play a major role too. Getting both cables in your system is definitely the best way to decide. And in the process you’ll likely gain new insights which is always good, even if things turn out differently than expected. 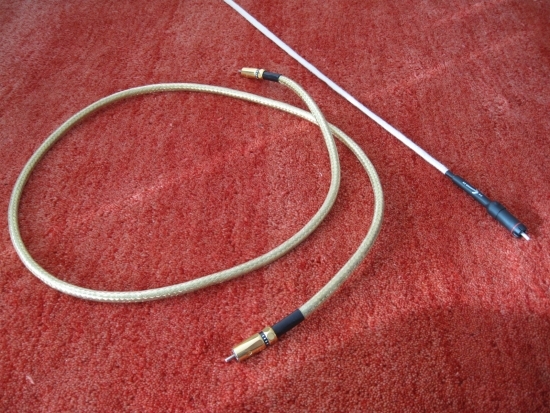 Een praktische vraag: ik wil deze kabel graag aanschaffen tussen mijn loopwerk en DAC maar heb beperkte ruimte achter mijn rek (maximaal 14 cm). Gaat dit werken? Of is het risico op breuk dan te groot? Op de foto staan ze in ieder geval stijf naar achteren. Dank en groet. Hi Paul, the cable is not as stiff as it looks: it can be bent easily. Just make sure not to force it into a square corner and don’t pull on the cable but always on the connectors. That said, 14cm is not enough for a safe curve. I would say that you need at least 20cm. 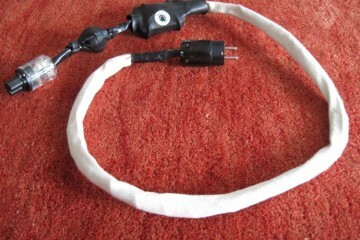 Curiosity killed the cat and I bought the cable (as tested above) and it fits within the 16 cm space behind my gear :-). It works a charm and I agree with the characteristics described in your review. Less jitter > better timing > better rhythm. Drive and DAC almost seem to have become integrated. Whereas jitter is abstract to me, rhythm is not! Thanks a lot for bringing this cable to my attention. It deserves high praise esp. given it’s modest price. That is very nice to hear Paul! They really sound very special indeed and at the price are something of a steal. 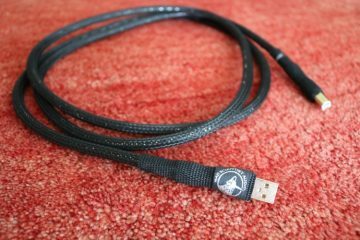 what is your opinion (regardless of the price) between the HERETICAL USB cable and the USB GOLDE UNIVERSAL II. n.b. the GOLDEN UNIVERSAL II is from siltec. Hi Lorio, alas, I have not heard the Golden Universal II so I cannot comment. Thank you for your thorough reviews I drink like a thirsty man to stay updated since we have some common references in our respective audiophile life. For now I would like to extend the life of a vintage DCS ELGAR + DAC linked in dual AES to a DCS NEtwork Bridge . For that purpose I wonder if I could be completely heretical and use with benefit The Mad Scientist digital cables in their version +?